Porcelain is a material very similar to the color, look and feel of natural tooth enamel. If you have severely discolored teeth that don’t respond to tooth whitening methods, Dr. Yazdan will help you choose a natural-looking color of white that will give you the smile you are looking for. Newport Beach cosmetic dentist Dr. Desiree Yazdan combines artistic expertise along with the latest advances in cosmetic dental materials and techniques to create the beautiful smile of your dreams. 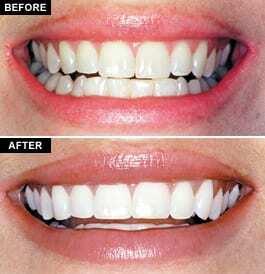 Cosmetic Dentistry combines various techniques and treatments to create a spectacular, natural-looking smile. The cosmetic dental services and techniques now available open up the way for looking younger, feeling better, and enjoying greater success in life! 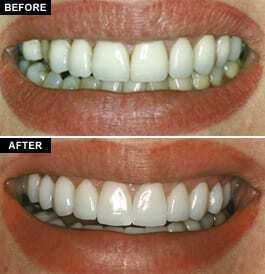 Porcelain veneers are thin, semi-translucent laminates permanently bonded to your teeth. 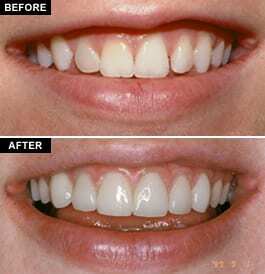 They allow for correction in the shape, size, length, spacing and color of your natural teeth. When bonded to the teeth, the ultra-thin porcelain veneers are virtually undetectable and highly resistant to coffee, tea or even cigarette stains. For strength and appearance, their resemblance to healthy white tooth enamel is unsurpassed by other restorative options. Due to their simplicity and versatility, veneers have become increasingly popular and are an ideal choice for improving your smile. 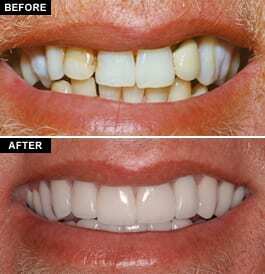 How Are Cosmetic Veneers Different From Bonding Or Dental Crowns? 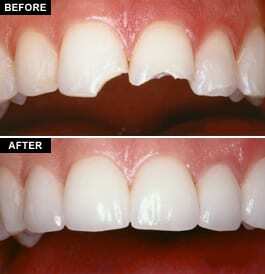 Bonding is a resin filling material that was used for several years to cover the front surface of teeth. 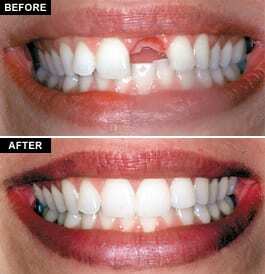 Today, we generally use bonding only to fill in small surfaces or cavities and repair chips in teeth. A full dental crown is when a tooth has had root canal treatment, or when a substantial amount of the entire tooth structure (enamel) has been lost. 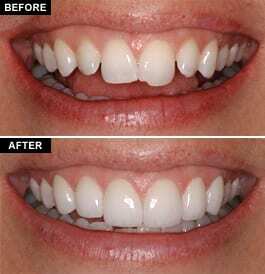 Cosmetic veneers can be placed on teeth to make your smile look natural and beautiful. 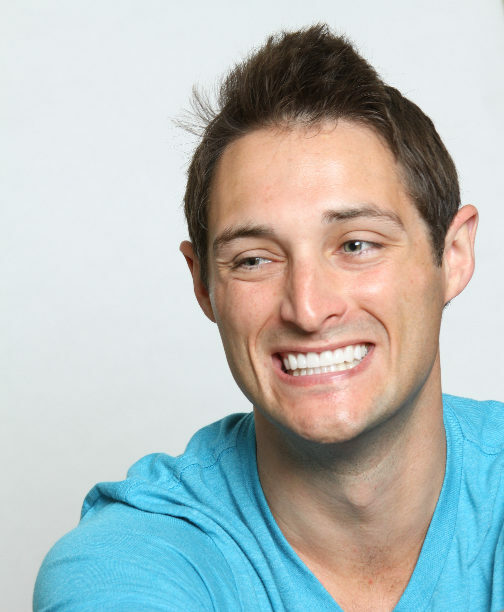 Dr. Yazdan will take impressions of your teeth to make veneers that are customized to fit your unique smile. Porcelain veneers are very thin; therefore, minimal grinding of the original tooth is needed as compared to getting crowns. Once the veneers are bonded to the teeth, they will blend in seamlessly without any telltale signs that you’ve had any dental work done in Beverly Hills. Porcelain veneers can give you a perfect smile in as little as three visits to Dr. Yazdan?s cosmetic dentistry office, which will include an exam appointment, a separate time for prepping the teeth, and the bonding of your new veneers. 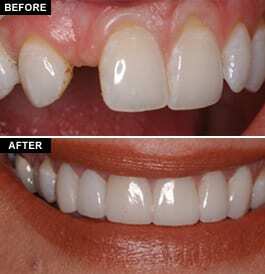 Dental veneers can last indefinitely, depending on how well they are taken care of by the patient. 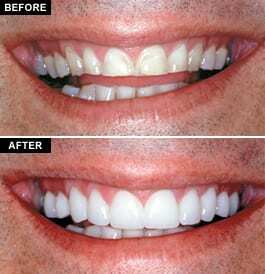 Because porcelain veneers are stronger than simple bonding, they are also more resistant to stains and chipping. Even so, you must maintain regular oral hygiene at home, and visit us for routine cleanings and exams. Also, oral habits that damage natural teeth such as nail biting, opening bobby pins, and chewing on hard objects can also damage your new dental veneers. 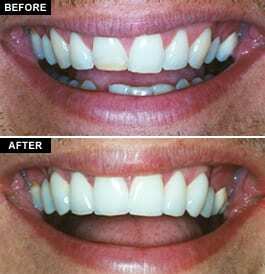 Once porcelain veneers are applied, just treat them like natural teeth. They look great and are extremely durable.